The plan was to accommodate academic needs of the region. What transpired was a marvel of architectural beauty. Now, the management of Khalsa College, Amritsar, Punjab, is preparing to seek UNESCO World Heritage status for it. Founded in 1892, the sprawling 300-acre campus is located about 8 km from the city-center on the Amritsar-Lahore Highway. It may or may not make it as a designated ‘world heritage’ site, but this gives us an opportunity to revel in the magnificent design and remember the architectural genius of Bhai Ram Singh. 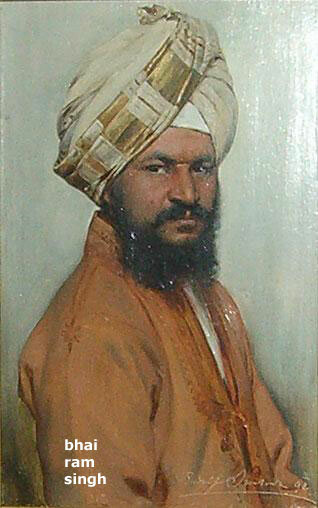 Now forgotten in his land, Bhai Ram Singh's career is replete with such gems, including Queen Victoria’s Durbar Hall on the Isle of Wight, United kingdom; the Lahore Museum and Mayo School of Arts in Lahore, Pakistan, and the Indian Institute of Advanced Study; making him one of the most prominent architects of India and Pakistan. 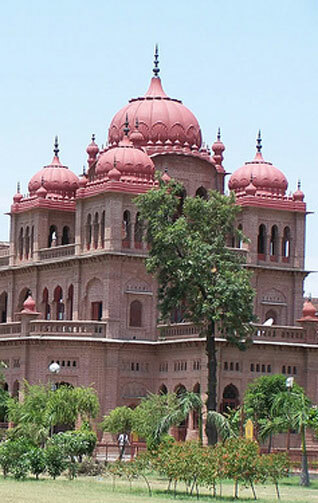 The main building of the Khalsa College is considered a gem of the Indo-Sarcenic style, which is strongly influenced by traditional Punjabi and Mughal schools of architecture. Ram Singh's master plan proposed the main academic buildings of the college in the forefront facing Grand Trunk Road with boarding houses at the rear, says A. S. Mahal, who has done extensive work on the life of the great architect and the architecture of Khalsa College. "Verandas with jaali brickwork on both sides protected the rooms from the scorching heat of Punjab," he says. "While work on boarding houses was still underway in 1896, the executive committee of the college decided to add a gurdwara and a year later, it decided to build a hospital and gymnasium as a memorial to honour Sir Attar Singh, the vice-president of Khalsa College council who had recently died," he says. Mahal says a major development Ram Singh brought about through Khalsa College was his articulation of the skyline of the building. "His earlier attempts in the Mayo School of Arts building or in Aitchison College (also in Lahore) appear hesitant and a bit crowded in comparison to the masterful use of cupolas, domes, chhatris and palkis in Khalsa College," he says. The foundation stone was laid on March 5, 1892, with the first classes starting in 1893. The architect, Bhai Ram Singh, was born on August 1, 1858 to at village Rasulpur in Batala, Punjab. Workmanship, it appeared, was in his DNA. He would collect paper casts of old wood carvings in Amritsar his during summer vacations and prepare measured drawings of marble inlay decorations in the Golden Temple. Comment on "The Red Domes of Amritsar"